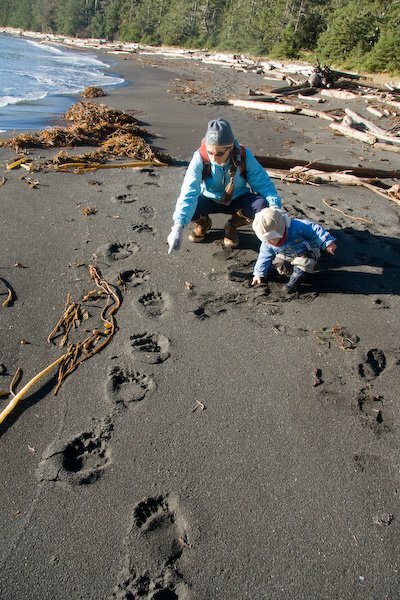 Volunteer to walk our local beaches and help monitor the health of our environment! If you like walking beaches, learning about natural history, and want to contribute to marine conservation, this volunteer program is for you. The COASST Program will be conducting training in Sitka on September 15. No experience is needed, only enthusiasm, to become a citizen scientist and learn the arcane skill of identifying beached birds! I have been involved with COASST for over 5 years. My family and I have adopted our favorite beach on Kruzof Island and we walk the beach several times each year looking for beached birds. The value of this effort is to establish a “baseline”, or what is normal, for birds to die and wash up on beaches. If we ever experience an oil spill, climate change, a change in the marine environment, or other environmental disaster we can then measure the actual impact on bird populations. COASST has an extensive network all along the west coast of North America. Not only does our family get to collect valuable information, we also become intimately familiar with the natural history and seasonal changes on a place that is important to us, and we get to nurture a long-term commitment to the health of our local environment. It’s also lots of fun! Help make a difference for the environment by collecting data for the Coastal Observation and Seabird Survey Team (COASST). COASST is a citizen science project dedicated to involving volunteers in the collection of high quality data on the status of coastal beaches, and trends of seabirds. Our goal is to assist government agencies and other organizations in making informed management and conservation decisions, and promote proactive citizen involvement and action. COASST volunteers systematically count and identify bird carcasses that wash ashore along ocean beaches from northern California to Alaska. Volunteers need NO experience with birds, just a commitment to survey a specific beach (about 3/4 mile) each month. If you are interested in participating, join COASST staff for a full, 6-hour training session. Hear about how COASST started, learn how to use the custom Beached Birds field guide, and try out your new skills with some actual specimens. There is no charge to attend a training, but plan to provide a $20 refundable deposit if you would like to take home a COASST volunteer kit complete with a COASST Beached Birds field guide. Training activities take place indoors, and include a break for lunch – please pack your own or plan to buy lunch nearby. If you can’t attend these events, please check our website at www.coasst.org or call (206) 221-6893 for additional information on upcoming events and trainings. To reserve your spot at a training session, please contact coasst@uw.edu or 206-221-6893. Honored in tradition, loved, feared and respected across every ocean on earth, killer whales have tantalized our curiosity for lifetimes. I had the opportunity to face these intelligent animals on Alaskan waters while cruising with Pauli Davis of Gallant Adventures. The encounter was humbling, unforgettable, and reminded me that truly wild places like Sitka Sound are absolutely unique, and that it is imperative that we protect wildlife on these pristine coasts so that we can continue to have interactions like these. Seeing these whales helps us retain our connection with the natural world and instills a respect for the animals with which we share it. Deer also like the high alpine because they have both the cover of the stunted mountain hemlock trees as well as long vistas to keep a lookout on what is around then. There is often a breeze in the alpine and on the ridges that helps the deer keep the bugs from biting. I’m not sure if this is a factor or not for the deer, but the high alpine of the outer coast is also amazingly beautiful and has some of the most spectacular views in the entire world! In Southeast Alaska, bald eagles are commonplace; they perch on spruce trees, swoop over parking lots, and glide over the vast expanses of water that define this landscape. Ravens are another constant here in Sitka, sometimes called Raven town, ever-present on car and buildings, and an ancient trickster in Tlingit myth. These birds are so common that it is sometimes easy to forget our impact upon them, and that many end up injured because of human activities. The Alaska Raptor Center, located in Sitka, has been rehabilitating injured birds since the eighties. The idea began when a local falconer and conservationist began caring for injured birds in an old tool shed and gained momentum when he was able to successfully return some of the birds to the wild. The center has since evolved into an expansive and high-functioning facility that includes a dozen outdoor habitats, a spacious indoor flight center where recovering birds build wing strength, a small presentation room, a vet clinic, office space, and spaces for the various owls, hawks, falcons, eagles and ravens that are full time residents. Current eagle patients include Lucky, who earned his name after crashing into a float plane but suffered no broken bones, Vulcan who lost one eye to a beebee gun, Jackson who became hypothermic and too depleted to fly after falling through thin ice, and Bug, a two-month-old who fell out of the nest. The Center recently hosted conservationist Jeff Corwin, of Animal Planet fame, to release one of the centers fully recovered eagles. The Alaska Raptor Center’s mission is threefold: to educate the public, to rehabilitate birds, and to conduct research. The Center not only helps conserve and treat intelligent and majestic birds like bald eagles, but is also a significant employer of local Sitkans. Eight people work at the center year-round, and that number doubles in the summer when tourism is in full swing. The Center is located on 17 acres of land adjacent to the Tongass National Forest. Between 100 and 200 birds become patients there each year, and while many are able to be released into the wild after rehabilitation, some are so severely injured that they become resident raptors. These birds are able to live healthy and productive lives on the Center’s grounds, giving visitors the opportunity to see and appreciate raptors up close. Executive Director Debbie Reeder encourages the public to become aware of the influences that humans have over our environment. “Many people don’t realize that a thing as simple as a building can have an impact on birds,” she says. About 85% of the injuries treated at the raptor center are caused by humans, though indirectly. Injuries will commonly occur from collisions with windows, buildings, power lines, and cars. By building awareness of the impact humans can have upon raptors, the Raptor Center increases public consciousness of raptor ecology. The Alaska Raptor Center is an organization that illustrates the potential for conservation to build community, reach out to the American public, and to support local economies. So stop by and show your support for another local conservation non-profit! Go to alaskaraptor.org for more information. CLICK HERE for the full program schedule and description of events. What on earth is biodiversity? A measurement of the variety and concentration of lifeforms in a given area, biodiversity is often used by researchers to gage the overall health of ecosystems. Who and what lives here? What mushrooms, bugs, crabs, whales, seaweed, owls, deer, and salmon share Sitka as their home? By documenting and better understanding the organismic makeup of Sitka, organizations like SCS whose mission is to protect treasures like the Tongass National Forest, can take appropriate measure to defend the habitats that these plants, animals, fungi, and insects depend on. 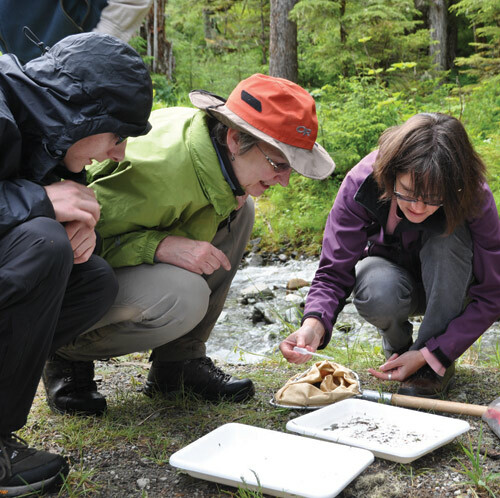 This year’s BioBlitz offers a fun and educational opportunity for the Sitkan community to help scientists perform a rapid (24-hours only!) 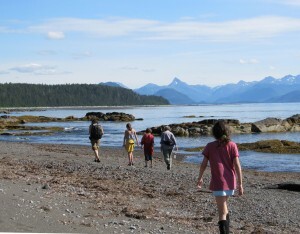 biological survey of a 7-square mile section of Sitka. Have you ever wanted to learn more about local plants, owls, or insects? Maybe your family is eager to set night-time insect traps within the largest remaining temperate rain forest in the world. Fun options are abound for everyone at this year’s BioBlitz, providing unique opportunities to learn from experts and professional naturalists from across the state on their surveys. Help us document, celebrate and protect the biodiversity that makes this magical place unique! Join us to kick off the event on Friday, August 17th at 7:30pm with a discussion of Southeast Alaska’s fascinating biodiversity presented by biologist and author Bob Armstrong. Blitzing will begin Saturday, August 18th at noon and run for a full twenty four hours. There will be many opportunities to join scientists on survey teams and various activities for all ages!